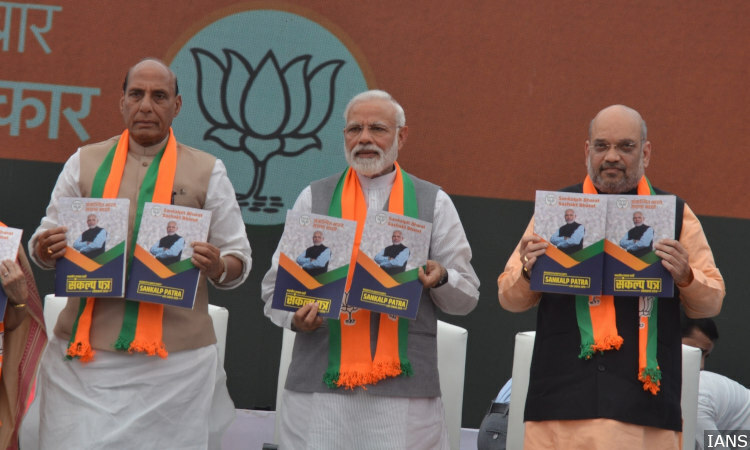 New Delhi: Prime Minister Narendra Modi, BJP President Amit Shah and Union Minister Rajnath Singh release the party’s election manifesto for the 2019 Lok Sabha polls on April 8, 2019. Mumbai: The Bharatiya Janata Party (BJP) released its manifesto for the 17th Lok Sabha elections three days before polling begins on April 11, 2019, and broadly focussed on issues such as national security, agriculture and farmer welfare, infrastructure, good governance, inclusive development and foreign policy. 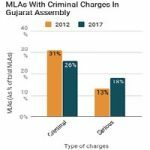 We fact-checked 12 claims made in the manifesto–including those by Prime Minister Narendra Modi and party president Amit Shah–of which five are true, two false, four partially true and one unclear. 1. Claim: In the last five years, every Indian family got a bank account due to Jan Dhan Yojana. Fact: Partially true. Almost every household in the country holds a bank account, the Pradhan Mantri Jan Dhan Yojana (PMJDY) dashboard shows. However, 35 million households were not surveyed for PMJDY, which found 210.5 million of 210.6 million surveyed households to be covered. However, as Census 2011 lists 246 million households across the country, as FactChecker reported in January 2017. 2. 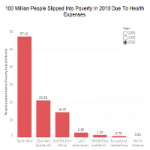 Claim: 50 crore Indians got health insurance thanks to Ayushman Bharat. Fact: False. Some 1.83 million (1,835,227) beneficiaries had been admitted for treatment as on April 8, 2019, and 28.9 million (2.89 crore) beneficiary cards issued, official data show. The scheme aims to provide health insurance to 500 million (50 crore) beneficiaries. 3. Claim: We are close to 99% sanitation coverage, compared to a mere 38% in 2014. Fact: Partially True. As per government guidelines, Swachh Bharat Mission success depends not just on building toilets but ensuring their use. More Indians living in villages owned a latrine in 2018 than four years ago, yet 44% of them still defecate in the open, according to a survey covering Rajasthan, Bihar, Madhya Pradesh and Uttar Pradesh released on January 4, 2019. These four states together contain two-fifths of India’s rural population and reported high open defecation rates, over 68% in 2016, IndiaSpend reported on January 7, 2019. There has been a 26-percentage-point decrease in open defecation since 2014 when 70% of people did not use toilets, as per the study. However, the new toilets had problems: most were based on a single-pit design, and not the twin-pit one as recommended, and which is easier and more hygienic to clean. Gujarat was declared the sixth Indian state to be open defecation-free on October 2, 2017. One year on, Factchecker’s investigation–reported on November 24, 2018–across four districts revealed toilets without walls or water, locals unconvinced of the need to use toilets and flawed government verification of toilet use, findings in line with a September 2018 report from the government’s auditor. 4. Claim: 18,000 villages living in darkness until 2014 are now brightly lit thanks to rural electrification. More than 2.6 crore homes have been electrified through Saubhagya Yojana. Fact: Partially true. As many as 18,452 villages were yet to be electrified when the National Democratic Alliance government came to power in 2014. The government has achieved its target by providing electricity connections to all inhabited census villages as on April 28, 2018, according to this Lok Sabha reply on December 27, 2018. Under the Saubhagya scheme, 26.2 million houses have been electrified as on April 8, 2019, according to the government’s dashboard. However, the quality and duration of power supply has been patchy at best, as FactChecker reported on November 2, 2018. “In the initial days when several media persons thronged the village, we used to get about four hours of electricity, and then the hours dwindled to minutes,” a Village Authority member from Leisang, India’s last village to be connected to the grid in Manipur, said. The situation was similar in Uttar Pradesh. “If a city-dweller receives 24×7 electricity, why don’t we? We can also pay for it,” said Shashikant Shukla of Sarwara village in UP’s Unnao district. About 90% of houses there had power connections but received supply is for less than 12 hours, FactChecker reported on November 3, 2018. 5. Claim: Jan Dhan, Aadhaar and Mobile have weeded out over 8 crore fake beneficiaries, and prevented leakages of more than Rs 1 lakh crore. Fact: Partially true. The cumulative savings under direct-benefit transfers (DBT) are Rs 1.2 lakh crore ending February 2019, most of which come from three welfare schemes: Pratyaksha Hastaantarit Laabh (PAHAL), public distribution system (PDS) and Mahatma Gandhi National Rural Employment Guarantee Scheme (MGNREGS), according to the government’s DBT dashboard as on April 8, 2019. The number of fake beneficiaries under these three schemes was around 8.81 crore, show DBT and Lok Sabha data as on February 5, 2019. 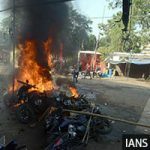 However, “90% of the decline in subsidies” under PAHAL could actually be accounted for by the fall in crude prices and only Rs 1,763 crore out of the total reduction of Rs 23,316 crore was due to reduced offtake of cylinders by consumers,” a report by the Comptroller and Auditor General of India for the period ending March 31, 2016, said. Also, the DBT programme and the Aadhaar scheme were started in January 2013 under the previous United Progressive Alliance government. 6. Claim: Loans disbursed to more than 14 crore people under MUDRA Yojana. Fact: True. More than 157 million (15.7 crore) loans have been sanctioned amounting Rs 7,59,459 crore under the Mudra Yojana since the inception of the scheme until February 1, 2019, according to a Rajya Sabha reply on February 12, 2019. 7. Claim: Provided insurance cover to 14 crore farmers under the Pradhan Mantri Fasal Bima Yojana. Fact: Unclear. Since the start of implementation of Pradhan Mantri Fasal Bima Yojana (PMFBY) in 2016 until 2018, around 10 crore farmers have been insured. The total number of farmers who received claims under PMFBY during 2016-17 and 2017-18 was 3.06 crore. This is according to the latest data available in Lok Sabha’s reply till Rabi (October-March) 2017-18. The latest data with the PMFBY’s dashboard is only till Kharif (July-October) 2017. 8. Claim: We have completed work on the long-pending 31 irrigation projects under Pradhan Mantri Krishi Sinchai Yojana. Fact: True. Of the 99 irrigation projects 31 have been “completed/almost completed” under the Accelerated Irrigation Benefits Programme (AIBP) of Pradhan Mantri Krishi Sinchayee Yojana, according to this government reply to the Lok Sabha on February 12, 2019. 9. Claim: This government has delivered the highest rate of average GDP growth (7.3%) over the last 5 years and maintained lowest rate of average consumer inflation (4.6%). Consumer inflation is presently at 2.6%. Fact: True, the average GDP growth rate for the last four years has been 7.3%. However, whether this is the highest ever is contested, because in August 2018, the ruling government revised the method it uses to calculate GDP, which lowered GDP growth rate under the previous United Progressive Alliance government from an average of 7.75% to 6.82% between 2005-06 and 2011-12. Average consumer inflation was 4.7% for the last four years (2014-15 to 2017-18), while current inflation is 2.6%, according to Reserve Bank of India (RBI) data. 10. Claim: Average fiscal deficit as a percentage of GDP during 2014-19 has been brought down to 3.7% from 5.4% during 2009-14. Fact: True. Average fiscal deficit is down to 3.7% for the five years of 2014-19 compared to 5.3% in 2009-14, RBI data show. 11. Claim: FDI has grown by almost 50% in the last five years. Fact: True. Foreign direct investment (FDI) under the equity capital component increased by 51% from $29.7 billion in 2014-15 to $44.8 billion in 2017-18, according to December 2018 data from the commerce ministry, the latest available. However, total FDI inflows–which include equity, reinvested earnings and other capital components–increased at a lower 35% from $45.1 billion to $61 billion over the same period. 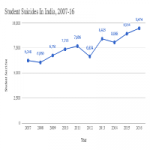 The comparison could not be made for five years as 2018-19 data are available only until December 2018. 12. Claim: We have ensured speed and effectiveness in issuing forest and environmental clearances for eligible projects due to which we have added around 9,000 sq km to the forest cover of the country. Fact: False. Forest cover in India increased by 6,778 sq km–from 701,495 sq km in 2015 to 708,273 sq km in 2017, according to the India State of Forest Report 2017. A Lok Sabha reply on February 8, 2019, said the total forest as well as tree cover had increased by 8,021 sq km in 2017 over 2015. However, the official definition of “forest cover” is flawed, forest experts had told FactChecker—reported in July 2018–as it includes forests converted to commercial plantations, as well as degraded and fragmented forests, and the health of these forests is gauged by satellite imagery of inadequate resolution. The chief of the Forest Survey of India had agreed and said improving the resolution would take five to eight years.